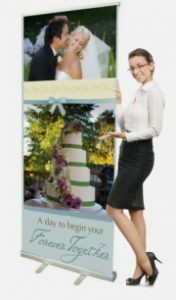 Sign Central’s design team can help you design your eye catching retractable banner stand today! 33″ wide x 79″ tall. Safe Zone is 28″ x 76″ . The Bleed Area is 33″ x 81″.